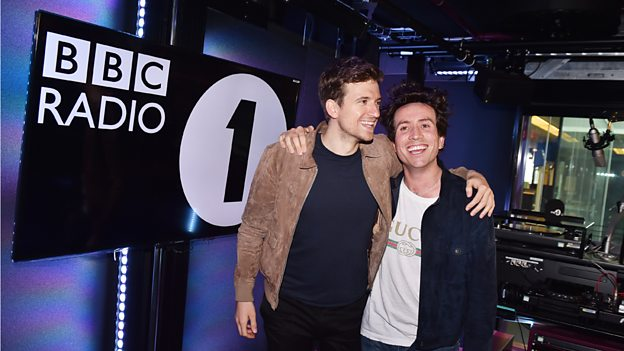 After becoming the second-longest serving Radio 1 breakfast show presenter, Nick Grimshaw is to do a job swap with Greg James. From Autumn 2018, Greg James will switch to the Radio 1 Breakfast Show, while Nick Grimshaw will move to drivetime. Greg joined Nick live on air this morning to share their news with listeners. Nick began hosting The Radio 1 Breakfast Show in 2012 and this week, he became the second-longest running breakfast show presenter in the station’s history, beating the record previously held by Tony Blackburn. Audience figures for Radio 1 have shown a decline in breakfast time listeners. Earlier this month, it was confirmed that the breakfast show had lost 600,000 listeners in the first quarter of 2018. It's not the first high profile job swap on BBC Radio this year - over on Radio 4, Martha Kearney and Sarah Montague swapped jobs, with Martha Kearney joining Today and Sarah Montague The World At One.